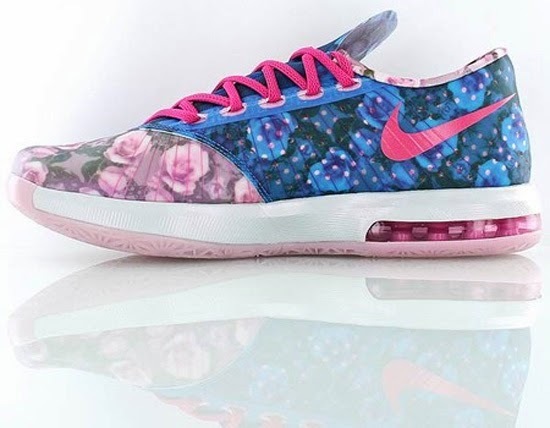 A detailed look at the "Aunt Pearl" edition of the Nike KD VI set to release later this year. This Nike KD VI Supreme inspired by Kevin Durant's, Aunt Pearl comes in a real pink, photo blue and white colorway. 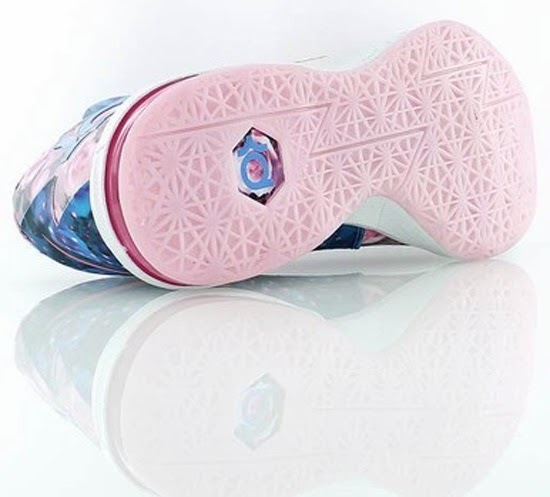 Made for Breast Cancer Awareness, they feature a floral design throughout the pink and blue upper. 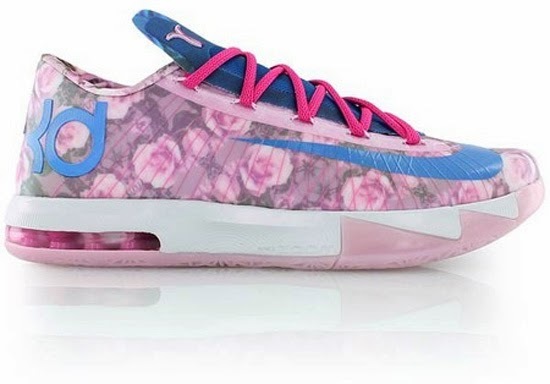 The tongue, Swoosh on the toe and "KD" logo on the heel are in blue with a white midsole along with magenta laces and a pink outsole and "Kay Yow" ribbon on the tongue finish these off. 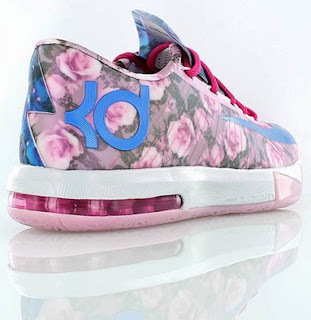 No release date has been announced however, expect to see these drop later in 2014 and will be limited. Once a price and date is set, I will make an update and let everyone know. 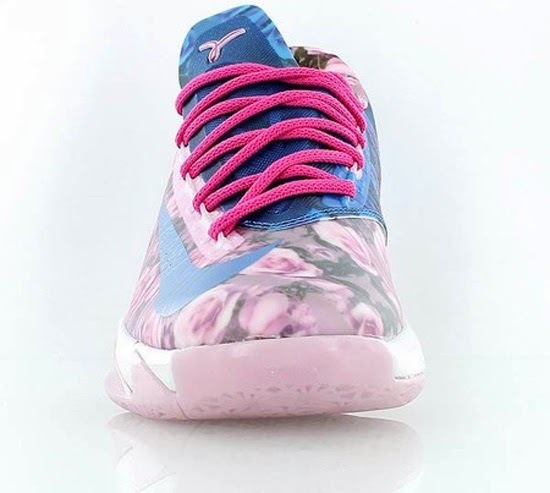 Enjoy the detailed images below of the "Aunt Pearl" Nike KD VI Supreme in real pink, photo blue and white. If you're interested in picking these up when they release, check in with your local spots to see if they will be receiving them. Those of you looking for a pair now can, grab them from eBay here.